To get started you'll need to download a release of the SAMD21 MicroPython firmware from its home on GitHub. Alternatively you can build the firmware from scratch, but if you just want to get started quickly use the prebuilt firmware from a GitHub release. Go to the SAMD21 MicroPython releases page and download the latest .bin file for your board. 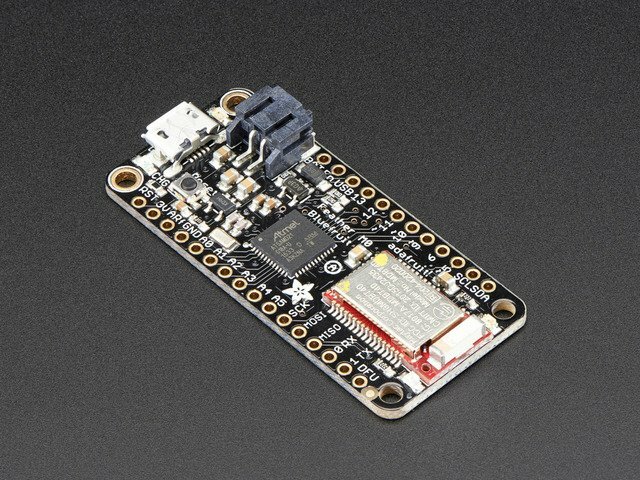 Currently the Arduino Zero and Feather M0 boards are supported and have prebuilt firmware images. Once you have a firmware image you'll need to download a special version of the BOSSA tool that can load firmware on SAMD21 boards. This tool is actually used internally by the Arduino IDE when it programs these boards, however you can use it yourself to load custom firmware like the SAMD21 MicroPython port. Be aware you must use this special 1.7.0 or higher version of BOSSA to program SAMD21 boards! If you find an older version of BOSSA it won't work because it doesn't support the SAMD21 chip. Go to the BOSSA GitHub releases page and download the latest release for your platform (for Windows you want the mingw32 version). You might need a tool like 7zip to open the .tar.gz archive. Once unarchived you should find a bossac command line executable tool. Make sure you see BOSSA version 1.7.0 or higher! If you see a lower version then you accidentally downloaded an older version of the tool and it won't work to flash SAMD21 chips. Go back and grab the latest release from this BOSSA GitHub repository as mentioned above. Once you have the firmware and BOSSA tool you're ready to flash the firmware onto the board. Follow the steps below to flash the firmware for an Arduino Zero or Feather M0 board. 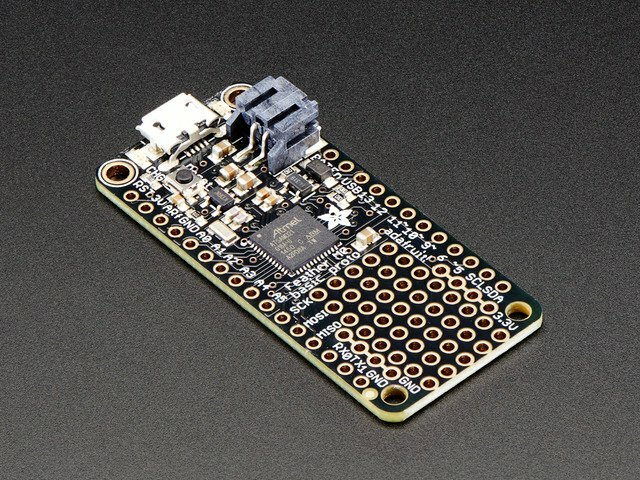 For a Feather M0 board (including all variants like Feather M0 proto, AdaLogger, Bluefruit, RFM69, etc.) you need to put the board in a special bootloader mode before flashing firmware. Plug in the board and 'double click' the reset button. You should see the pin #13 LED start to fade on and off to signal that the bootloader is running. Once you see the bootloader running skip down to the BOSSA flash command below. Also be sure you've followed the learn guide for your Feather M0 board to setup the Arduino IDE and install any necessary drivers. In particular Windows will need drivers installed before you can flash the Feather M0. Linux and Mac OSX should be usable without any extra driver install. 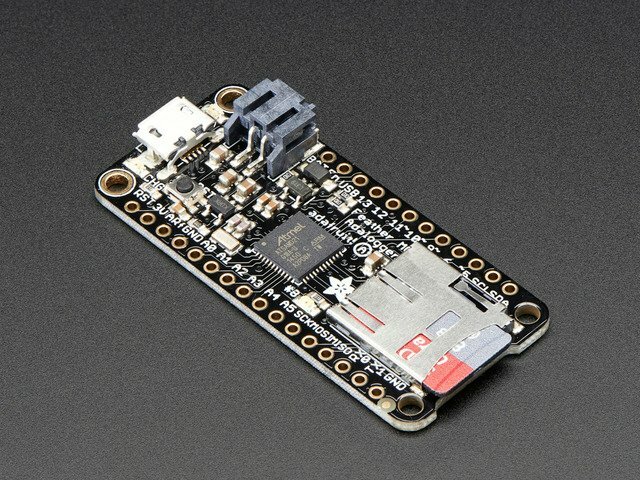 Be sure you can use and program your Feather M0 with Arduino before diving into loading MicroPython--this will help you make sure the board is working as expected before complicating things with custom firmware. For the Arduino Zero you don't need to do anything special to enter the bootloader. However make sure you've plugged in the board using the native USB port and not the programming port. One special note, if you're using the Arduino M0 Pro from Arduino.org you'll need to replace its bootloader with the Arduino Zero bootloader so it can work with BOSSA. To do this install the Arduino/Genuino Zero board in the Arduino IDE board manager and then follow these steps to burn the Arduino Zero bootloader (using the programming port on the board). Once you've loaded the Arduino Zero bootloader you should be able to use the M0 Pro with BOSSAC as described below. Flashing new MicroPython firmware will delete all files on the board's filesystem! Backup files you wish to keep and restore them after the flash. Remember on Linux & Mac OSX you need to add the ./ to the front of the bossac command! Change PORT_NAME to the name of the serial port for your board. On Windows this will be something like COM4, COM5, etc. (look in Device Manager for the list of all serial ports). On Mac OSX this will be something like tty.usbmodem143411 (run ls -l /dev/tty.usbmodem* to list all the serial ports). On Linux this will be something like ttyACM0, ttyACM1, etc. (run ls -l /dev/ttyACM* to list all the ports). Note that on Mac OSX and Linux you don't specify the full /dev/tty... name of the device, instead you just specify the name after the /dev/ part of the path. Also change firmware.bin to the name of the firmware .bin file you downloaded. If you're using the Vagrant VM described later to build SAMD21 MicroPython firmware be sure the VM is halted and not running or else it might 'steal' the serial port from your host machine! Finally note on Linux you might need to run as root with the sudo command if your user doesn't have access to the serial port. If you see an error like the device can't be found then try running with sudo in from of the ./bossac command. Once the firmware is loaded you're ready to access the serial REPL to run MicroPython code. Note that on Windows you might need to install this CDC serial driver from PJRC to make the board accessible as a COM port. For Linux and Mac OSX no driver is necessary to install. Using the serial REPL with SAMD21 MicroPython is just like using it with other MicroPython boards. See this MicroPython serial REPL guide for details on using tools like screen and putty to access the REPL. SAMD21 MicroPython uses the same 115200 baud rate for the REPL as other MicroPython boards. Where PORT_NAME is the name of the serial port for the board (see the BOSSA flash command section above for how to list the serial ports). Screen should open the port and if you press enter you should see the Python >>> REPL prompt. Try typing in a print('Hello world!') command and pressing enter to see MicroPython working on the SAMD21! On Windows use the putty program as mentioned in the MicroPython serial REPL guide. Woo hoo, that's all there is to loading SAMD21 MicroPython on a board! 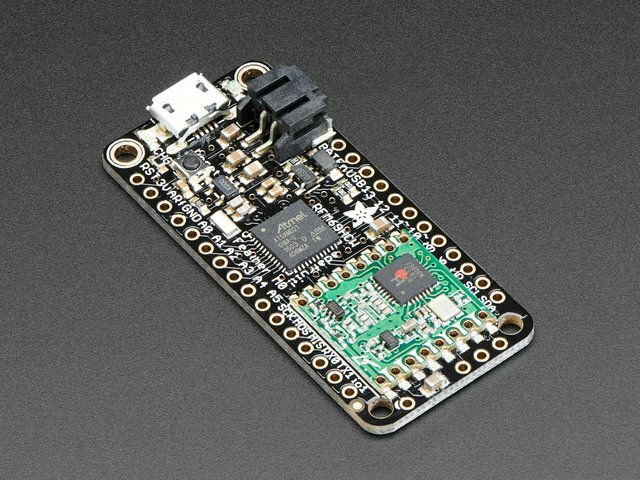 Once you see MicroPython running you can start using it just like other MicroPython boards. Tools like ampy can load files on the board's file system and even run scripts. Be sure to read the quick start guide on supported modules so you know what is currently supported by SAMD21 MicroPython! If you'd like to revert back to using your SAMD21 board with Arduino it's as easy as using the Arduino IDE to program the board again. For Feather M0 boards you might need to 'double click' the reset button to manually start the bootloader, then program the board from Arduino. For Arduino Zero boards the programming port and Atmel EDBG programmer type are guaranteed ways to always reprogram a board regardless of what it was previously running. Should you ever want to go back to MicroPython just follow the steps on this page again! If you'd like to build the SAMD21 MicroPython firmware yourself you can use a special Vagrant-based virtual machine to simplify the build process. Note that you don't have to build the firmware yourself, you can download a prebuilt image and flash it as mentioned on the previous page. Building the firmware yourself is useful for modifying and working on the firmware code. This isnt required if you're just using our release binaries! It's for people who want to build their very own releases. For some background information skim the ESP8266 MicroPython firmware build guide to see more details on Vagrant and VirtualBox usage. 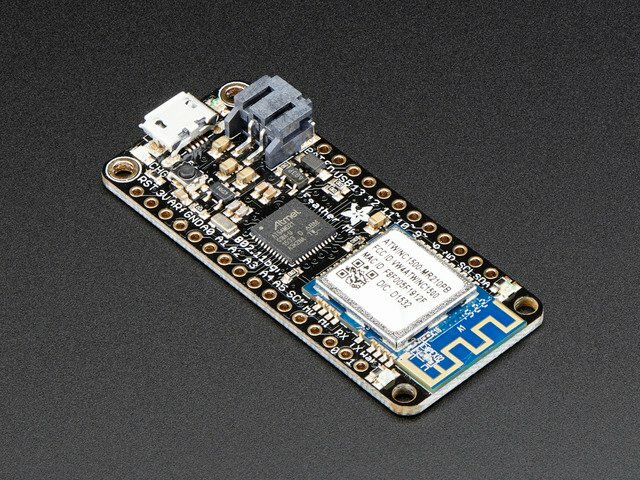 The SAMD21 MicroPython build VM is very similar to the ESP8266 build VM. First install VirtualBox on your computer. If you already have VirtualBox installed it can't hurt to upgrade to the latest version. Virtualbox is an open source and no cost virtualization tool that can run a guest operating system 'inside' your host operating system. Next install Vagrant on your computer. Again if you already have Vagrant installed be sure to upgrade to the latest version. In most cases Vagrant needs the latest version of VirtualBox installed so if you install one tool be sure to install or upgrade the other too. Vagrant is an open source and no cost tool that simplifies using VirtualBox with a simple command line interface. Inside this directory is a text file called Vagrantfile. This file is the configuration for the virtual machine and also is the location where all vagrant commands should be run. In the following sections you'll see how to start up, stop, and enter the virtual machine. Make sure you're inside this atmel-samd-micropython-vagrant directory with the Vagrantfile before running vagrant commands. The very first time this command runs it will provision the virtual machine by downloading a Linux operating system image and install tools & SAMD21 MicroPython firmware inside it. This process can take some time, perhaps 30 minutes or more, during the first run. Luckily the operating system image is saved on your computer so future starts of the VM will be very quick (a few seconds). Inside the VM you can build SAMD21 MicroPython firmware and even use BOSSA to flash it to a board. For the next sections you'll want to be inside the VM as shown above. If you'd like to leave the VM run the exit command at the Linux terminal. This will exit from the VM's ssh session but note the VM will continue to run in the background! Skip down to the stop virtual machine section to see how to stop the VM from running. If you need to enter the running VM again just use the vagrant ssh command again. You only need to build the mpy-cross tool once, then you can just focus on building the SAMD21 MicroPython firmware. Note that the feather_m0_basic board can be used with any Feather M0 board, including the Feather M0 AdaLogger, Feather M0 Bluefruit, etc. Not all of the extra peripherals on these boards, like Bluetooth LE radios, etc., have MicroPython support however! The BOARD=... parameter is what tells the build system which board's firmware you want to build. Make sure to specify the board name (subdirectory of the boards folder) exactly! If you do see the build fail with an error you might check the GitHub issues for the code to see if there's a known issue with the build. Once the firmware is built it will be placed in a build-BOARD_NAME directory, where BOARD_NAME Is the name of the board that was built. For example the feather_m0_basic board will have its firmware in the build-feather_m0_basic directory. Inside the build directory will be temporary files used during the compilation, and most importantly a firmware.bin file which contains the compiled firmware. Now exit the VM (using the exit command) and you'll find the firmware.bin file in the vagrant subdirectory (under the directory with the Vagrantfile--note this is slightly different than the default Vagrant behavior to copy files into the same directory as the Vagrantfile). Change the build-BOARD_NAME directory to the right name for the firmware you built. However if you run into trouble try copying the firmware out of the VM and using BOSSA from your host machine. Remember when the VM is running it will 'capture' any Feather M0 it sees running the bootloader! This means your host PC won't see Feather M0 boards and you can't run BOSSA against them. Simply stop the VM (see section below) and try connecting the board again to prevent this capture. To start the VM again once it's stopped just use the vagrant up command again. If you'd like to edit the source code inside the VM you might want to enable a syncronization of source files between the VM and host machine. By syncing the source files you can use any text editor on your host machine to edit them instead of using a basic text editor inside the VM. This sync feature is disabled by default because it depends on what operating system you're using on the host machine (the default sync system Vagrant uses tends to cause slowdowns with many files like in the MicroPython source so a more optimized but platform-specific sync is necessary). # and Linux host machines, for Windows try SMB below). Save the file and skip past the Windows instructions below to continue. # host machines, for Mac OSX or Linux try NFS above). Save the file to continue setting up the synchronization. After editing the Vagrantfile start the VM again (vagrant up). During the startup you might need to enter your administrator password so Vagrant can configure the NFS shares on Mac OSX or Linux. On Windows remember you'll need to be running in an administrator terminal to use SMB shares! If you run into issues check the Vagrant NFS share or Vagrant SMB share documentation. Once the VM is running it will syncronize the SAMD21 MicroPython source code between the /home/vagrant/source/ folder inside the VM and the source subdirectory under the Vagrantfile location on the host machine. You can use a text editor to modify the files in the source directory and they'll be changed inside the VM. Build the firmware in the VM and load it on your board to have a quick and easy development process! This quick start guide acts as both examples and a reference for what modules are currently implemented in the SAMD21 MicroPython port. You can also find in-progress reference documentation for the SAMD21 MicroPython port here. The SAMD21 MicroPython port currently supports the following machine module features described below. Note there are some small differences in how the machine module support is implemented compared to other boards. As the SAMD21 MicroPython firmware stabilizes and the machine module specification evolves these differences will hopefully grow smaller, but be aware you might need to slightly modify MicroPython code from other boards to run on the SAMD21 MicroPython port. You can use the machine.Pin class to perform digital I/O like reading buttons and blinking LEDs. See the MicroPython Digital I/O guide for more details on usage. For the SAMD21 MicroPython port pins are identified by a string, like 'D6' for digital pin 6 on the board. You can use analog inputs, PWM, and even a DAC output just like with using analog I/O on other MicroPython boards! Remember the pin names are strings for the SAMD21 MicroPython port--see the digital I/O section above for all the pin names. Note that the ADC class needs to take in a machine.Pin instance and not just a string pin name! Since the ADC has a 12-bit resolution you'll see values between 0 and 4095. A value of 0 means there's 0 volts on the analog input, and a value of 4095 means there's 3.3v or more on the input (be careful not to exceed 3.3v!). An inbetween value like 2047 means there's about half of 3.3v, or 1.6v, on the analog input. Note that PWM outputs currently have a fixed frequency of around 730 hz. In the future configurable frequencies will be allowed (check this bug) but for now the frequency is fixed. Duty cycle can be configured to any 8-bit value from 0 (completely off) to 255 (completely on). A value of 127 for example would be a 50% duty cycle, or half lit LED if controlling the brightness of a LED. For the SAMD21's DAC it can only output voltage on the A0 pin. No other pin can be used to receive the DAC output. The DAC write function takes a 10-bit value, i.e. one between 0 and 1023. A value of 0 means 0v is output on the A0 pin, and 1023 means the maximum analog reference voltage (3.3v) is output on A0. A value inbetween produce a proportional voltage, like 512 will output about half of 3.3v (1.6v). Communication with I2C devices is supported using a similar interface as I2C on other MicroPython boards. However one important difference is that you must either call an init function before using I2C and a deinit function after using it, or use a context manager. # Function to convert temperature register to degrees celsius. i2c.init()  # Initialize I2C interface. i2c.deinit()  # Be sure to call deinit when done. # Function to convert temperature register to degress celsius. # With statement uses I2C interface as context manager for automatic init/deinit. The choice of init/deinit vs. context manager comes down to how you'd like to structure your code. For simplicity init & deinit are a good first choice, but if you need to guarantee the I2C interface is cleanly deinitialized (like on board soft reset) use a context manager. Also note only the SCL and SDA pins as shown above can be used for the clock and data lines respectively. The SAMD21 MicroPython port uses a hardware I2C interface which is fixed to those pins. Also be aware you cannot take low level control of the I2C bus and send explicit start/stop bits or create custom transactions. This means some libraries like the SSD1306 OLED display won't work until they are updated to work with hardware I2C interfaces. SPI support is currently in-progress. Check back with future releases to see when SPI is available! # Create NeoPixel signal pin (connected to D6). # Create a strip of 4 pixels. # Clear all the pixels to black/off. # Use write to light up the pixels with the previously set colors. # Again call write to light up the pixels. See the pyboard OS module documentation for details on the OS module function usage as the functions are the same across boards. Note that the random number generation function urandom is not currently supported. See the pyboard time module documentation for details on the time module function usage. The SAMD21 MicroPython port supports two ways of freezing modules to reduce their memory usage. The first way is by building a custom SAMD21 MicroPython firmware build which packs in .py files as frozen modules. The modules folder inside the atmel-samd folder of the source code is where you should place modules that will be frozen into the firmware. This process is just like freezing modules on the ESP8266 port (however note there is no scripts folder for 'less frozen' modules, only the modules folder). The second way to use frozen modules is by converting a Python source file into a .mpy frozen module file. You can copy .mpy files onto the board's file system and import them just like importing Python source files and modules. However .mpy files will consume less RAM compared to raw Python .py source files. Make sure you've built the mpy-cross tool already as the previous build firmware instructions mentioned. If you skipped that step then first run the make command in the directory to build the tool. Once the tool is built converting a .py file to a .mpy file is as easy as running it with the tool. First copy your Python source .py file into the VM (remember any file in the vagrant subdirectory on the host machine will be copied into the /vagrant folder inside the VM). After the tool runs you should see a test.mpy file in the vagrant folder on the host PC, right next to the test.py file. Now copy test.mpy onto the SAMD21 MicroPython board's filesystem. Remember you can just drag and drop with USB mass storage! Note: To be sure the file is accessible to the MicroPython board, after copying it over unmount the USB drive and reset the board by pressing the reset button. That's all there is to using .mpy files as external frozen modules! This guide was first published on Oct 17, 2016. It was last updated on Oct 17, 2016.